As a professional in fitness industry I see the influx of people come in the gym with a goal to lose weight, get 'toned', gain muscle, get a six pack, tighten up the backside, lose the love handles, or get back to the high school weight. Often times they have a magazine in hand that has the '30 day plan to a new you' or '10 muscle building exercises to get you ripped' or '21 day glute routine'. The most popular trends catches the eye but the most basic principle is left by the wayside. From my experience two things end up happening when a proper plan isn't in place. They accept that in order to get results it will take years of weight training or working out and they just don't want to weight that long, while others get discouraged from not seeing results and quit altogether. Progressive Overload: I call this a "Standard" set type in WebFit. It is the most commonly used set type and the base of any successful weight training program. This principal refers to continually increasing the demands on the musculoskeletal system in order to continually make gains in muscle size, strength and endurance. In order to get bigger and stronger you must continually lift more and more and make your muscles work harder than they are used to. If you don't, your muscles will not become any stronger or bigger than they currently are. Conversely, if the demands on your muscles are not at least maintained and are actually decreased, your muscles will become smaller and weaker. Use it or lose it. Progressive overload is a very simple concept but it is crucial. This principle lays the foundation of any training program. Progressive overload doesn't just apply to resistance training and increasing muscle growth and strength, it can also be applied to increasing bone and connective tissue strength as well as cardiovascular fitness and the associated physiological changes that take place through a progressive cardiovascular exercise program. I will walk you through an example of this principle in motion. Let's say you perform 1 set of legs using a Seated Leg Press Machine at 100 pounds for 8 repetitions. As your training progresses that 1 set of Leg Presses for 8 reps at 100 pounds becomes easier and easier. This means that your leg muscles have adapted to the demands you placed on them. There is no longer a need for them to try to get bigger and stronger because the demand is not sufficient enough. You could do that same set of 8 repetitions at 100 pounds for the rest of your life and your strength/muscle size would never improve past a certain point. In order for your strength to improve and your muscles to change than they presently are you need to place more demands on them. You continue doing this strategically until you reach your own genetic potential. The one thing that lowers my spirits is when I see individuals who want to skip out on the basics. I don't blame them because with social media and everything being blasted our faces; sometimes you just want to jump to the 'best' program out there. Just remember this one thing. If your body is progressing with 2 sets of 10 at 30 pounds on a given exercise, don't add more weight or do more sets or increase the repetitions. Ride your program until the wheels fall off and then change something. The old saying, "IF IT AIN'T BROKE, DON'T FIX IT." is something I try to jam in the minds of people I come in contact with. If you try to apply everything and do it all now, what will you do when you hit a plateau? 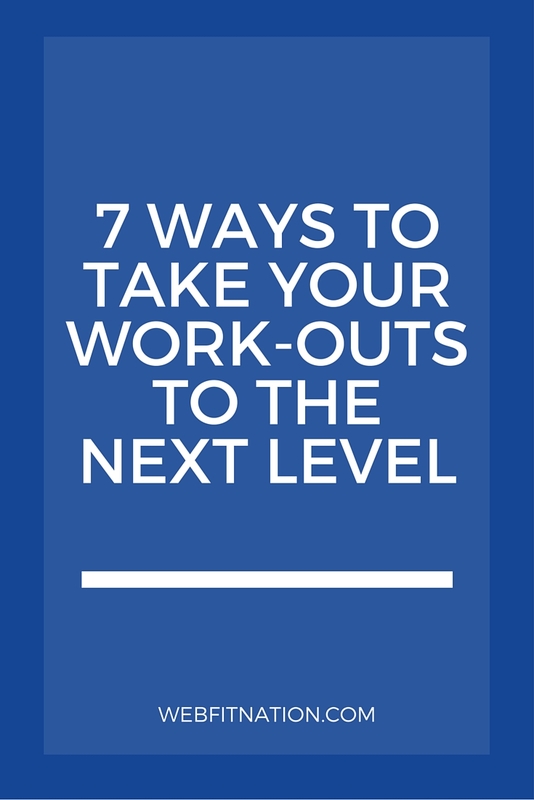 I want to share with you 7 ways to apply progressive overload. The beauty of this principle is that these 7 ideas to help you progress can be mixed, matched and put together so artistically that you can very seldom hit a plateau in your program. 1) Increase Resistance Progressively increase the weight you lift as you become stronger and the weight becomes easier. A good indicator of when to increase the resistance is when you are able to perform more than your target repetitions. For example, when your lifting program calls for sets of 10 repetitions but you are able to get 11. This would be an indicator that it is time to move up in your weight. 2) Increase Sets Increase the number of sets you perform for a given exercise. Instead of 2 or 3 sets maybe you'll want to increase to 3 or 4 in order to really fatigue the muscles. 3) Increase Repetitions Increase the number of repetitions you perform for a given exercise. By the end of your last set and you are completing repetitions with ease then next time it might be time to go up in weight. 4) Increase Frequency Increase how often you train a certain muscle or muscle group. This technique is most useful for improving lagging or weak muscles or muscle groups. This technique is often the one that is over used as well. Recovery plays a major role in this. Beginners can utilize this principal because most of the time they are training full body a few times a week but with very low volume. When applying this make sure that muscles have had enough time to recuperate between training sessions before increasing frequency. Every once in a while though it could be useful to train muscles even if they haven't fully recovered in order to shock them and keep them guessing. But be cautious. 5) Increase Exercises Increase the number of exercises you perform for a certain muscle or muscle group with the addition of a new one to your current program. This technique works well if you are trying to add symmetry to a muscle group by increasing the size of individual muscles or parts of muscles within a muscle group. 6) Increase Intensity Increase your perceived exertion or how much effort you put into every set. This is the most important factor for creating progressive overload in my opinion. Way too often people progress by using one of the above factors before they even think about how to increase the effort in which they are currently at. What would happen if you controlled the weight better? How would you feel if you took your time during the set and really focused on squeezing the muscle you are working? Don't forget. Anyone can throw weight around. Few know how to control it. Sometimes learning how to be comfortable in those uncomfortable sets is all you need to progress. 7) Decrease Rest Time Decreasing the rest time between consecutive sets will force your body to adapt metabolically faster and more efficiently over time. Eventually you will be able to lift more in less time. The last two of those factors are by far my personal favorite. Those two alone can push you to a better you. They aren't fancy and don't even require an extensive amount of knowledge to perform effectively. I hope this helped explain why progressive overload is so amazing in helping you achieve a better you.